No? It’s only this insane zip line that goes from one side of Fremont Street to the other.. at the speed of light! Well, not really, but there are a lot of lights and with enough cocktails it looks like you’re going at warp speed. Check it out! This is my first video with my new series 100 Best Places airing on TV Land. I’m super excited to be part of the TV Land crew and can’t wait to show you more of the 100 Best Places in the US! Have a good laugh while I do my best Superman impression. It’s official! One week to Ultra and not only will all the best DJ’s from around the world play at Bayfront Park, but we will be live streaming those incredible sets on YouTube! Yes, for the 5th year (4th year with me- but who’s counting?) we’ll be live streaming the Ultra Music Festival. This year will be bigger than ever. There are some really cool things happening, which I can’t say just yet, but seeing as these are normally the announcement videos- you can tell this is going to be different! What I can tell you is that this Ultra Miami 2016 announcement video was a fun collaboration. Most of the UMFTV crew lives in Amsterdam, so the bits with Hardwell were shot in Europe. My stand up was shot in the United States. I produced the clip, hired the DP, and location scouted for the stand up. I absolutely love production, so it was wonderful to see everything come together. Oh, and there was a pug, and I’m obsessed with pugs, so… yeah, I’m pretty happy with how it came out. I’ll be showing you the coolest spots around the country- most of which you’ve never heard of before. Okay, yes, we all know about Vegas, but do you know about Slotzilla? It’s this awesome zip line that goes from one direction of Fremont Street to the other. Now, I don’t have a lot of pictures from this shoot, but there’s a lot of video. It will be airing soon, so stay tuned, because I will definitely be updating this blog as soon as the video goes live- my reactions are kind of priceless. If the first few months are any indication of what 2016 has to offer, then this is going to be a good year. 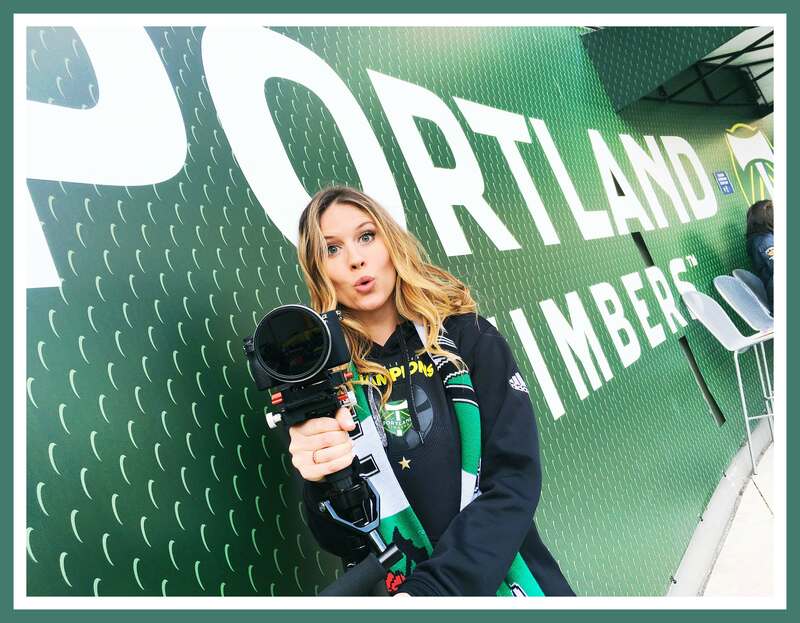 I’m so excited to announce that I am the new host of Heineken and MLS Soccer’s Get Me In There. It’s a digital series that brings an inside look at the fan s that drum, dance, sing, tailgate, and do whatever it takes to create the most dynamic match day atmosphere in Major League Soccer. 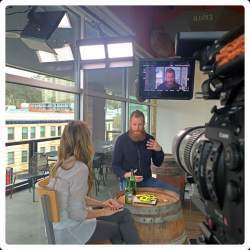 So it was an incredible honor to interview Nat Borchers, who is a talented defender and has also become the face of the Portland Timbers. I mean, with a beard like that, how can you not be a fan favorite? And spending five seconds with him, you realize he is so much more than the beard. He is a very nice, humble, smart man who trea ts everyone with not only respect, but an unbelievable amount of attention. They say Keep Portland Weird, but Nat says Keep Portland Beard- and I’d agree with that! On the second day of our shoot, it was Game Day. 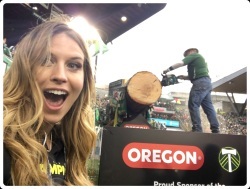 The Portland Timbers opener was a rematch of the MLS Cup final with Columbus Crew- it was an insane game! If you look at the recap, you’ll see why. 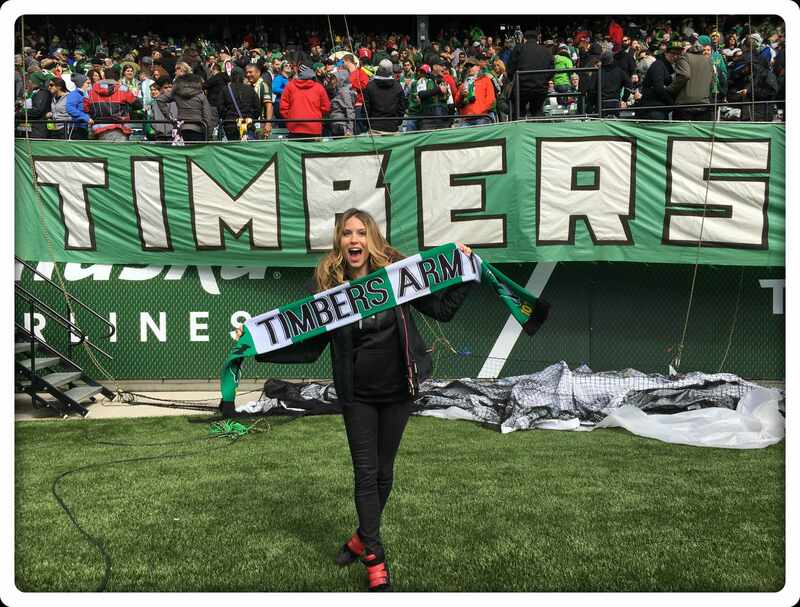 It can be hard to jump into a devout supporters group, but Whitney from the Timbers Army welcomed me in with open arms, helped me with all the songs, and even gave me a nifty scarf… which was much appreciated in the cold! 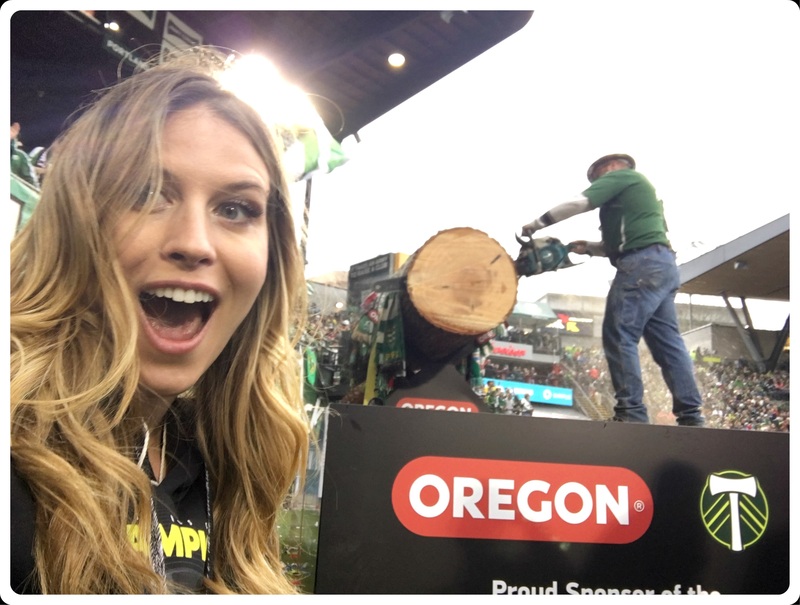 I even got up close and personal with Timber Joey, who slices off a piece of the victory log after every goal. The atmosphere was insane. I can’t wait to show you the finished product when the video is all up. My New Show on Fox Sports! 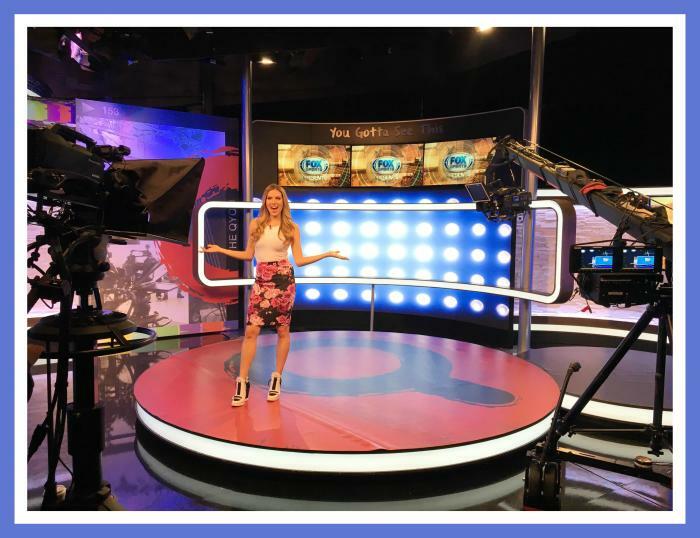 I’m so excited to be hosting a new show called Q-Sport that will be airing on Fox Sports affiliates in Europe! Over the past year, I’ve been a Host and Senior Producer for The QYOU, a new international linear channel that airs premium online content similar to the way MTV aired non-stop music videos back in the day. It’s been such a privilege to find and promote incredible internet artists who spend hours upon hours creating amazing content. As The QYOU has matured, we are now putting out specialty shows like Q-Sport! And, it’s even cooler that we’re teaming up with big networks like Fox Sports. Yeahhhhhhh. For 26 episodes, I’ll be guiding you through the most extreme sports videos from the internet. If you want a sample of what you’ll see, check out this and this. Q-Sport will start airing in select European territories in April on Fox Sports.